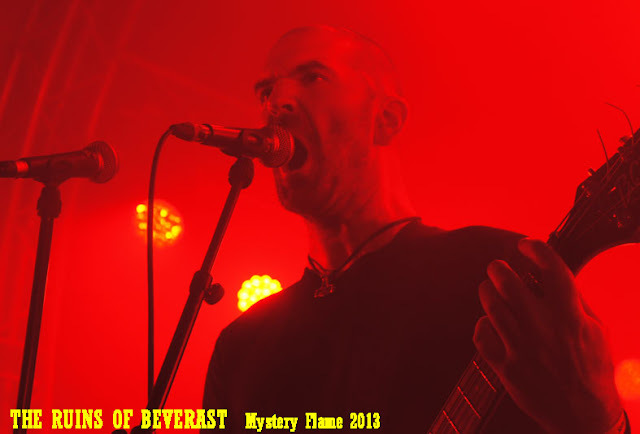 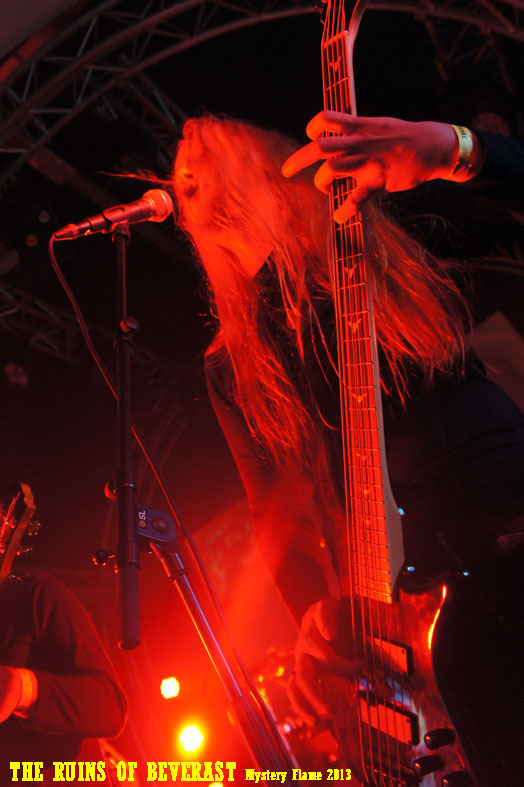 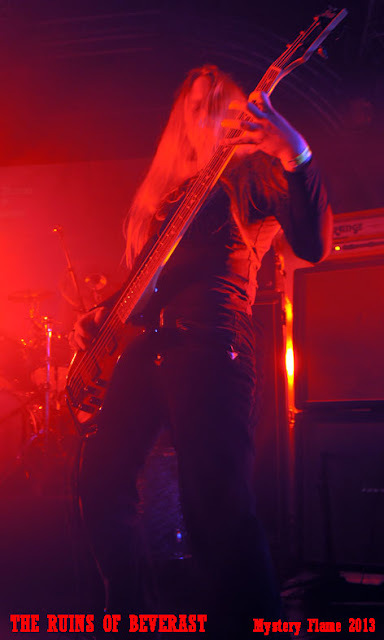 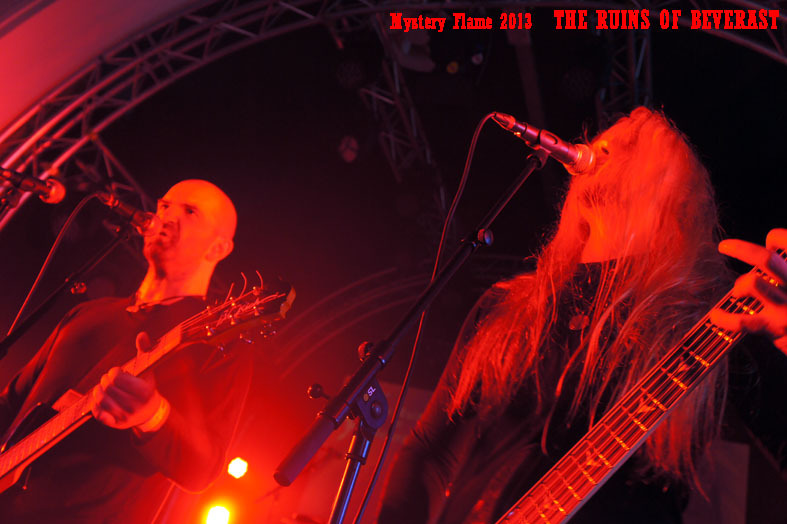 Saturday 20th saw the live debut of German avant-garde black metallers THE RUINS OF BEVERAST! 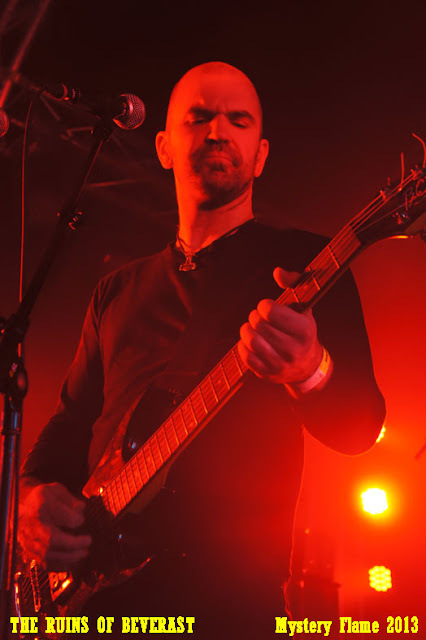 With its three albums, the solo creation of multi-instrumentalist Alexander von Meilenwald has created a magic recipe of intense ambient, loads of swampy doom, filthy industrial and operatic eccentricities coupled with the grimmest, coldest of BM. It was meant for a long time to be solely a studio project, so it was a real coup on behalf of Roadburn to bring TROB to a live dimension. Meilenwald walked in with a black hood over his head and a mysterious frown across the bearded, pale face lit-up by intensely dark eyes. 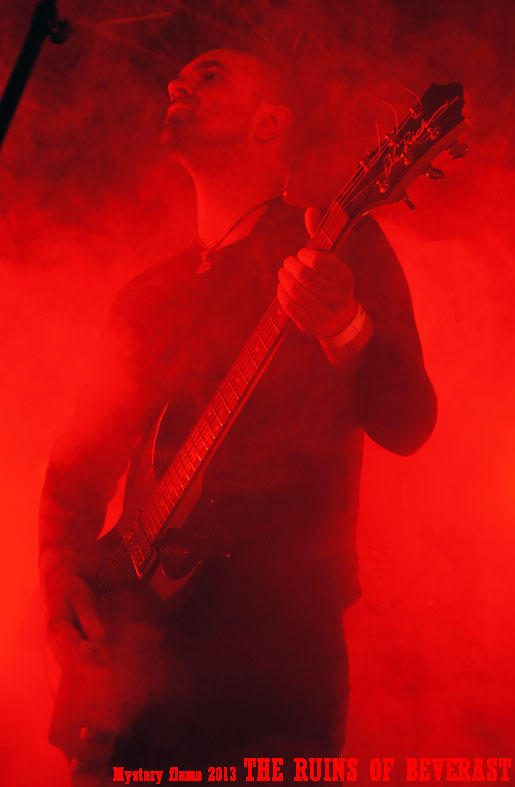 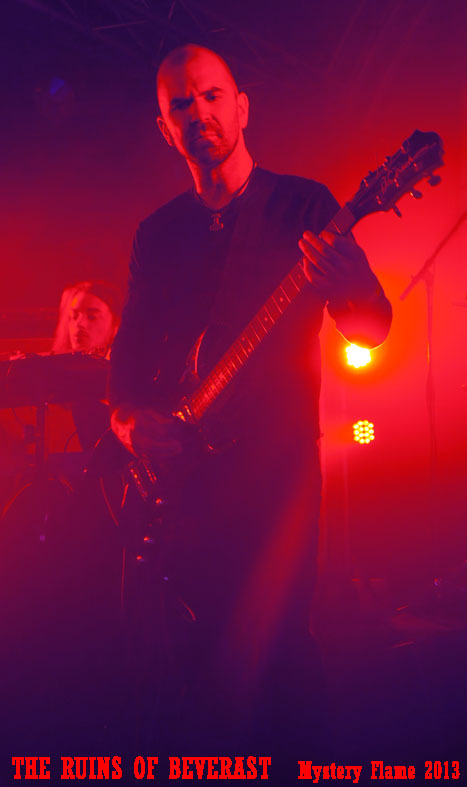 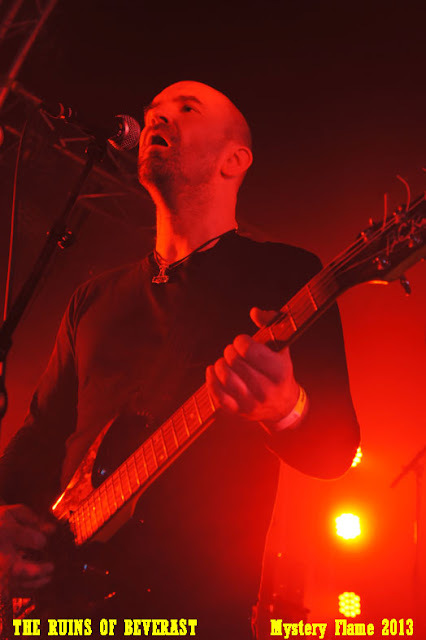 Immersed in blood-red darkness and thick smoke, the moody and dazzling beauty of TROB’s music began to pour over us, enveloping and immense. 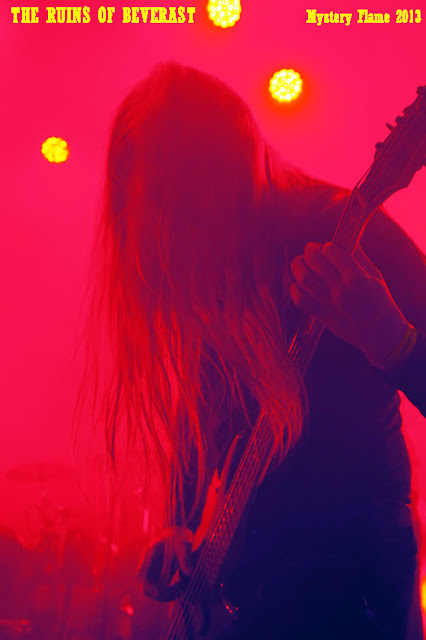 Each and every track grabbed me right in the gut, whether it was the foreboding, rolling doom behind the harsh coldness of the vox, or the superb lashings of black metal fury enriched by sinister and oblique guitars. And if the combination of the eerie atmospheres and the intense, trance-like sections won over my devoted attention, the true apotheosis of the senses came during the unleashing of the blasted sections, which were the most tempestuous and hard-hitting heard in a long time. Certainly piick of the crop at Roadburn this year: I am ready to be blown away by them once again at the excellent Aurora Infernalis V on Saturday October 25th @ Luxor, Arnhem (NL).